The Healthy Boy: What Is The Ideal Body Fat To See Your Abs? See those ripped men and women on the front covers of all those glossy health and fitness magazines? Do you often sit there and stare at their abs wondering if you will ever be able to achieve a body so buff and ripped? I do. However it's the Bon Appetit and Country Baking magazines next it them, with their peanut butter brownie and oatmeal raisin cookie recipes that seem to get in my way. But if you are striving to emulate those gods that grace the covers of the magazines each month, how lean do you a actually need to get? What body fat percentage do your really need to show off your six pack abs? 20%? 10% or maybe even 5%? Truth be told most of us have no idea what our current body fat percentage is, or where it needs to be to get that ripped and chiseled look, so Tom Venuto, fitness professional and author of the internet's top selling fat loss and muscle building book Burn The Fat, has devised a scale for both men and women showing us what percentages we are at, and where we need to get to. Check it out below. 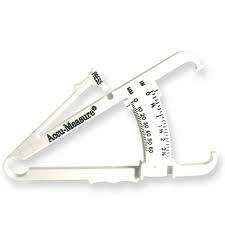 Measuring your body fat percentage is a valuable tool to chart your progress on your quest to get six pack abs. Hopefully most people realize by now that abdominal exercises don’t burn fat off your stomach. Abs are made in the kitchen, not just in the gym. No matter how much you work out, if you don’t eat right and achieve a calorie deficit, your abs will remain covered in a layer of adipose. 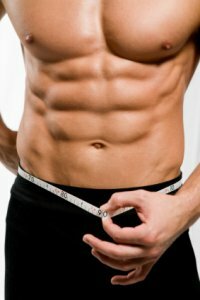 When the realization hits you that you must reduce your body fat percentage to see your abs, one of the biggest questions that pops into your mind is, “how low do I have to get my body fat percentage to see my abs?” It’s a tough question and the answer may be different for men than women. First, get familiar with some benchmarks for body fat levels. My Burn The Fat System has a body fat rating scale, which includes averages and my suggested optimal body fat percentages. This is my own chart, which I created with a combination of research literature and my own personal experience. Just a quick note: You're not destined to get fatter as you get older, but in the general population (not fitness and bodybuilding folks), the average older person has more body fat. What I did to accommodate this was to include a body fat range instead of one number, so younger people can use the low end of the range and older people can use the higher number. Also, just so the average reader can keep things in perspective, single digit body fat for women and low single digits for men is far beyond lean - it's RIPPED - and that's usually solely the domain of competitive physique athletes. Competition body fat levels were not meant to be maintained all year round. It's not realistic and it may not be healthy, particularly for women. For most women, 12% body fat or thereabouts is ripped, and for many, that's contest ready (figure or fitness competition). Just for comparison, I've done over 7,000 body fat tests during my career, and the lowest I have ever measured on a female was 8.9% (4-site skinfold method). She was a national-level figure competitor and she was shredded - full six pack of abs... "onion skin!" However, I do know some women who get down to 11-13% body fat - by all standards extremely lean, complete with six pack abs - but oddly, they still had a few stubborn fat spots - usually the hips and lower body. What about guys? Well, I know a guy who looks absolutely chiseled in his abs at 11% body fat, but other guys don't look really cut in the abs until they get down to 6-8% body fat. Bodybuilders usually aren’t ready for competition until they get below 6%. That's the trouble with trying to pin down one specific body fat number as THE body fat level for seeing 6-pack abs (or being ripped and contest-ready): Everyone distributes their body fat differently and two people may look different at the same percentage. The average guy or gal should probably aim for the "lean" category as a realistic year round goal, or if you're really ambitious and dedicated, the "very lean category." You'll probably have to hit the "very lean" category for six pack abs. However, the bottom line is that there's no "perfect" body fat percentage where you're assured of seeing your abs. Besides, body fat is one of those numbers that gets fudged and exaggerated all the time. I hear reports of women with body fat between 4% and 8% and I usually dismiss it as error in measurement (or there's some "assistance" involved). Body fat testing, especially with skinfolds, is not an exact science. All body fat tests are estimations and there is always room for human error. The low numbers are nice for bragging rights, but the judges don't measure your body fat on stage. What counts is how you look and whether you're happy with that (or whether the judges are happy with it, if you're competing). You can use my chart to help you set some initial goals, but for the most part, I recommend using body fat testing as a way of charting your progress over time to see if you're improving rather than pursuing some holy grail number. In my Burn The fat, Feed The Muscle program, you can learn more about how to measure your body fat - professionally or even by yourself in the privacy of your own home. Burn The Fat, Feed The Muscle explains why body mass index and height and weight charts are virtually worthless, and shows you how to track your body composition over time and "tweak" your nutrition and training according to your weekly results. I'm in definite need of improvement - bodyfat percentage is over 20%! Thanks for this post. I'm 8.9% and I look fat. Massive Reliability issue with measuring body fat% very hard to get accurate readings regularly, one day you measure 8.9% same day i measure you at 12%!!! Women. It is not very healthy to be around 10-12% body fat. You're biological cycles (like ovulation) will get really messed up because you do not have enough body fat to support these functions. Unless you are a female bodybuilder I wouldn't recommend this. 25% body fat is ideal. That's where a lot of attractive celebrities like Kate Upton are around. 20% is okay for female athletes. Even 30% body fat looks pretty attractive as you will still have a curvaceous figure. 10 - 12% is not very attractive by just about everyone's standards. I would recommend eating more if you are at this level.